Dr Neerja Puri is a consultant Dermatologist in Punjab health systems corporation, India. She hasv been in this field for almost a decade now. She has more than 100 dermatology publications in various national and international level. She has present various papers at various congresses and meetings and has delivered guest lectures in various conferences as an invited faculty. 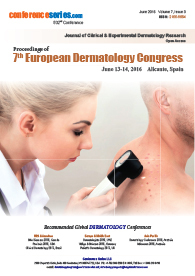 Here areas of interest are lasers, trichology and dermatosurgery. Jiwon Choi has completed her Ph.D. in Physiology from Jeonbuk National University, Jeonju, Republic of Korea. Her undergraduate and postgraduate degree completed in diagnostic radiography from Sydney University, Sydney, Australia. Presently, she is the associate professor of department of Radiological Science, Jeonju University, Republic of Korea, Her research field are diabetic mellitus and diagnostic radiography such as Computed tomography, radiography. Seon Il Jang completed his Ph.D. in Immunology from Chonbuk National University, Jeonju, Republic of Korea, and did his post-doctoral research in the Department of Fish Immunology, Aberdeen University, United Kingdom. Presently, he is a professor of immunology, in the Department of Health Management, Jeonju University, Republic of Korea. His research field is centered around the therapeutic approach of atopic dermatitis: cytokines, chemokines, fillagrin, and natural products. He has more than 300 published papers in renown journals. Assoc Professor Dr Ramamurthy completed his medical studies in India in year 1996 and pursued his Diploma in Dermatology (Cardiff - 2000), Fellowship in Laser Surgery (Bangkok - 2002) and Certification in Pain Management (Paris – 2003). After being appointed as the Vice President of Association of International Certified Aestheticians in 2012, he was honorarily awarded the Letter of Credentialing & Privileging (Aesthetic Medicine) from the Ministry of Health in 2013 and currently heads the Academy of Aesthetic Medicine in Malaysia. He has been lecturing in several universities in Malaysia since 2002. Abdulrahman Al-Asmari has completed his PhD in Biochemistry from London, U. K. He is the Director of Research center, Riyadh, Saudi Arabia. He has published more than 70 papers in reputed journals and has been serving as an editorial board member. He is associated with several ongoing projects on genetic basis of diseases in Saudis. Dr. Danka Svecova, Medicine Doctor (PhD. – dermatology), now is a professor of Dermatovenerology, Head of Bullous Disorders Unit at Dept. of Dermatovenerology, University Hospital and Faculty of Medicine, Comenius University in Bratislava, Slovakia. She is a board member of Committee for Dermatovenerology and Immunology Dissertation for PhD. at Comenius University in Bratislava. 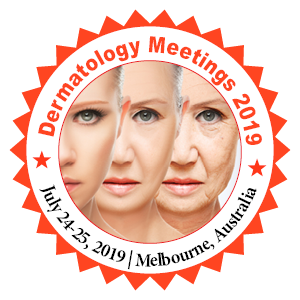 She is a member of committee for Probation of Specialization for Dermatovenerology at Comenius University in Bratislava and University of J.P. Safarik in Kosice. At Hokkaido University in Sapporo, Japan, she participated in research on Skin Allergology and Immunology under the supervision of Professor Akira Ohkawara. She attended Good Clinical Practice Guideline Course of the International Conference on Harmonization at Royal Holloway University of London, UK. She held several grant projects on fungal infection, therapy of psoriasis, borreliosis (the cooperation with University of Oxford, UK, under supervision of Professor Michael Donaghy), immunomodulatory and anti-inflammatory efficacy of normal polyphenols, immunogenetic determination to psoriasis vulgaris and pemphigus vulgaris, clinical trial of anti-IL17A/F bispecific nanobody in psoriasis vulgaris (multicentric European study), GWAS (Genome wide association study) on pemphigus vulgaris (the cooperation with Anhui Medical University in China and Harvard Medical School in U.S.A. under supervision of Professor Liangdan Sun) and role of Th17 in pathogenesis of psoriasis vulgaris. She wrote two monographs about blistering disorders “Pemphigus Vulgaris Autoimmune Disease” (Nova Science Publishers, New York, U.S.A.) and “Pemphigus” (Bonus, Bratislava, Slovakia). Ghaleb Bin Horaib has completed his PhD in Dermatological and Venereal Diseases from Fribourge University, Germany. Earlier he did MBBS from King Saud University of Riyadh, Saudi Arabia. He is the Deputy Director General of Medical Services in the Armed Forces, Ministry of Defense, Riyadh , Saudi Arabia. He has published 10 papers in reputed journals. He is associated with several ongoing projects on genetic basis of dermatological diseases in Saudis. Fahad Al-Harthi has completed his MD in Dermatological and Venereal Diseases from Germany. Earlier he did MBBS from King Saud University of Riyadh, Saudi Arabia. He is senior consultant in Department of Dermatology, PSMMC, Riyadh , Saudi Arabia. He has published 15 papers in reputed journals. He is associated with several ongoing projects on genetic basis of dermatological diseases in Saudis. As one of the leading Plastic Surgeons in Japan, Dr. Tanaka brings with him years of experience and a wealth of knowledge in the fields of Plastic and Reconstructive Surgery, anti-aging, and photobiology. He also possesses a deep understanding of and a well-established knowledge about energy based devices. As well as being the Founder of International Photobiological Society, he is also a member of many Japanese and international institutions and societies. 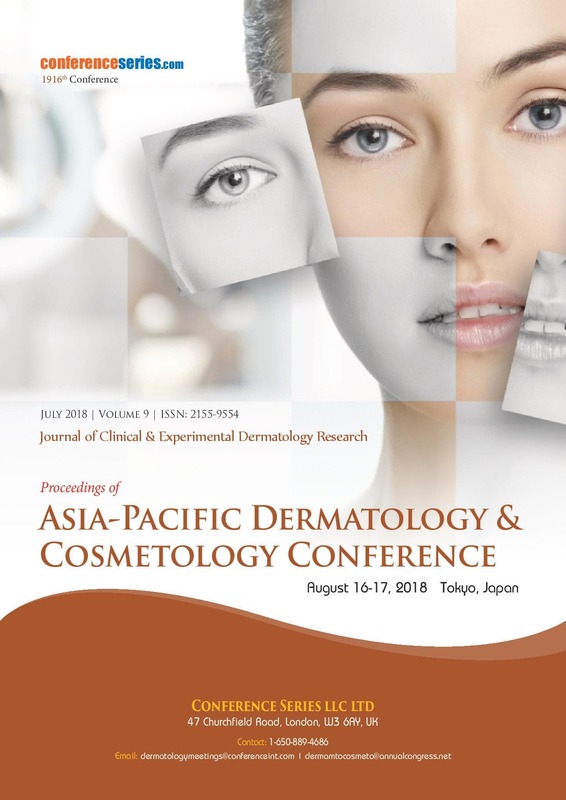 Dr. Tanaka has published over 40 peer-reviewed papers in English on topics ranging from plastic and reconstructive surgery to cancer research in a number of prestigious international journals. Through intensive photobiological research, Dr. Tanaka discovered the various biological effects of water-filtered broad-spectrum near-infrared (1000-1800 nm together with a water-filter that excludes wavelengths 1400-1500 nm) including anti-cancer effects. Dr. Tanaka have edited an international open access book entitled “Breakthroughs in Melanoma Research”, which consists of 30 chapters written by over 100 researchers including himself. Dr. Tanaka have published 23 peer-reviewed papers regarding near-infrared, and he is now particularly specializing in the investigation of a potential application of specific near-infrared wavelengths for anti-cancer therapy and significance of protection from solar near-infrared.